In the face of inflation and escalating prices, invest in property, advises IJM Properties Sdn Bhd managing director Teh Kean Ming. “Some units of our Bayswater resort condominium which was completed this year, were selling at RM288,000 three years ago but after the OC was obtained, these units were re-sold for RM455,000. That’s an appreciation of about 20% per annum. “That is just one example. The return on investment for property is very good so we are optimistic that response will be equally good for Platino, our newly launched project at Jalan Udini. “With building materials cost escalating, property developers will be under pressure to increase their selling prices eventually so it makes sense to invest early,” he said. He also noted that feedback from property agents showed that Bayswater was doing well in the sub-sale market. “Some purchasers who missed out on Bayswater do not want to make the same mistake with Platino. And there are also those who bought Bayswater and are now investing in Platino,” he said at the project launch on Wednesday. Since the soft launch in September, about 35% of the 228 units had been sold and IJM expected a further 30% to be snapped up by year-end, Teh said. Piling work on the RM191mil 1.4ha development next to the Penang Bridge has started. The project is scheduled for completion by mid-2010. “Platino offers owners the luxury of space. A unique feature of the project is the garden that has a variety of plants reflecting the four seasons,” he said. Units have built-up areas of 1,819 to 6,400 sq ft with prices from RM718,00 to RM2.627mil. Located on 12ha site, Platino is part of the Metro-East mixed-development scheme that is about 60% completed. 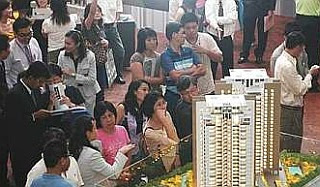 According to Teh, IJM would start construction on two luxury condominium blocks next year, targeted at foreign buyers. i found that platino offer 2 studio unit(1076sqf). price 372k onward. hv to check it out.